I'm Batman and this is my brother, Rin Tin Tin. Our hobbies include: jumping, climbing, looking for adventure and saving innocent civilians from villains with funny names. 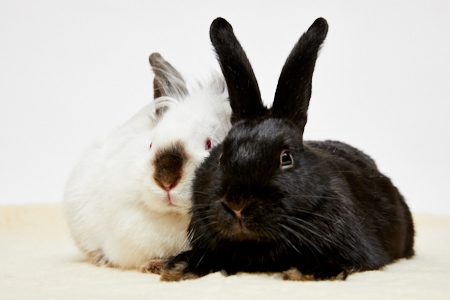 We came to SaveABunny when we were wee little buns and now we're looking for our forever home!